Is part-time working in a professional job your Holy Grail? 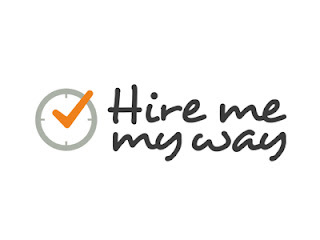 Our friends at Timewise, champions of flexible working, can help. 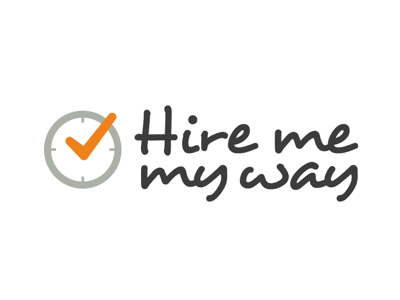 They launched the Hire Me My Way campaign this year to encourage employers to open up more of their jobs to flexibility at the point of hire. They have created an invaluable in-depth guide to finding flexible jobs, including ideas on when and how to ask for flexibility when it isn't mentioned in the job advert: Download it here. Here are a few of their tips we've picked out, with some of our own thoughts too. Get creative - there are many variations on flexible working. Decide what option/s could give you a good balance of pay, job satisfaction and seniority as well as fitting with your family life or other commitments. In addition to the list below, some companies are now open to you taking unpaid leave in the summer holidays, as this is also a quiet time for the business. Don't just look at jobs advertised as flexible. 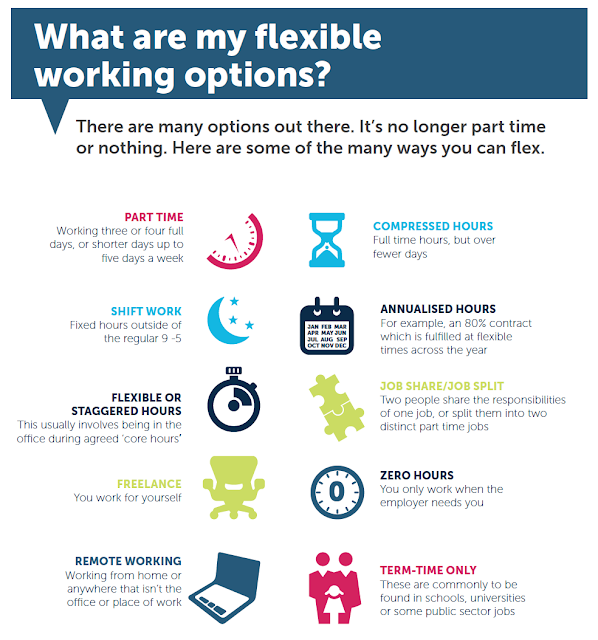 Timewise research found that only 8% of professional jobs are advertised as flexible; however 91% of UK-based hiring managers say they are open to discussing flexible working within the recruitment process for the right candidate. Start by finding roles that play to your strengths and experience and put your focus on building and using your networks to find opportunities. Research whether the company you're interested in already has staff working flexibly - if not, they're unlikely to hire on this basis. The application or early interview stage is not the time to bring up flexibility even if it is stated in the job advert. Concentrate on demonstrating your skills and relevant experience, as that's what the employer is interested in. The big question: At what point do you ask about flexibility if it's not included in the job advert? Try not to ask during the interview, but after you've been given the offer, or maybe in the final round of a stage-based process. If flexibility has been mentioned in the job advert, it's fine to raise beforehand. Some jobs aren't suited to flexibility but the majority will have some element of adaptability. Prepare a business case as to how you can make flexible arrangements work. Flexibility is a two way process and it is worth considering what are your sticking points and where you can compromise. The employer needs to feel comfortable with the arrangement too. If you want to work fewer hours/days and the job was advertised as full-time, make sure it's realistic to do part-time or you'll end up doing a full-time role for less pay. If your past experience was at a more senior level, you might be able to make a case that you can do the role in fewer hours. If you're applying directly for a permanent role and are sensing that the hiring manager is seeing your request for flexibility as an insurmountable barrier, suggest a trial period. Once you can prove that the arrangement works, it will be easier to make it permanent.